When it comes to symbolic ceremonies, its hard to go past weddings. There are so many aspects of a wedding that elicit profound acts and statements. Love can move mountains! We often get asked when people purchase an Edward Mirell ring, if they can be engraved. Engraving allows a small but impactful statement to be added to the inside of the ring for its entire life. However the question is not so simple. Titanium rings are generally quite easy to engrave. They are of a reasonable hardness and colour where a laser engraver will be fine to engrave them. 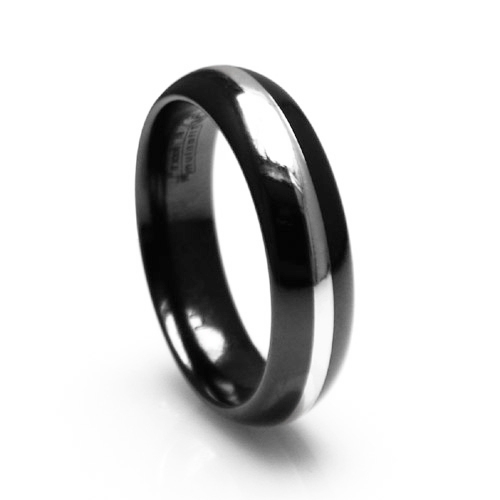 We generally have no issue recommending laser engraving for Titanium Rings. Black titanium however is a different story. Black Ti rings are so black and hard that engraving them generally doesnt give terrific results. The laser engraving will often be very subtle, and not always deliver the results the client is after. Alpha Rings doesnt recommend engraving Black Titanium Rings. The other issue is that if a customer wants a manufacture engraving, there is no opportunity to do a size exchange if the sizing is wrong. Thats a big worry because if your size is not 100% spot on, then unfortunately the customer is stuck with the ring. Its for this reason that we urge customers to very strongly consider after market engraving. Edward Mirell has become reluctant to offer manufacture engraving because its never desirable to leave a customer anything less than 100% satisfied.